Senior Conservative PR men have urged Tory leader David Cameron to stand by his top comms adviser, despite a barrage of negative headlines. Number 10 comms director Andy Coulson has come under pressure as the media chew over allegations of illegal phone hacking at the News of the World. This week, it emerged that the police are likely to discuss the latest allegations with Coulson, who was editor of the Sunday tabloid newspaper from 2003 to 2007. Cameron has previously expressed faith in his comms chief, saying he accepts Coulson's denial that he knew anything about the phone hacking when it was taking place. With the pressure on Coulson intensifying, a trio of top Tory comms advisers urged the PM to stick to his guns. Tim Collins, one-time Conservative Party director of comms, was confident that Coulson could survive 'several more days of unconvincing bile'. Gavin Megaw, a former head of regional press for the party, said Coulson was 'too talented and important to Cameron to be cast aside now'. However, he also acknowledged that Coulson 'may be forced to take a break from public duty for a short time to clear his name'. Meanwhile, Labour's attempts to extract political capital from the episode may have been thwarted by the ongoing leadership battle. 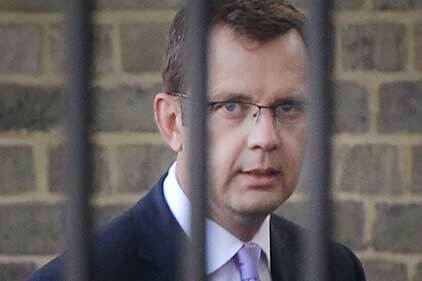 How should David Cameron deal with Andy Coulson phone-hacking claims? There are some who say that Coulson must go because he has become 'the story' - that most fatal of mistakes for an aide hired to control the news. However, those fanning the flames of this story are a newspaper involved in a circulation war, a disgruntled former employee and Labour MPs with motivations that hardly suggest they are seekers after the truth. It would not say much for the Prime Minister's faith in one of his closest advisers if this was enough to sway his confidence. There are sound political reasons for David Cameron to continue to support his media chief. Giving in to calls for a Downing Street scalp this early sets a bad precedent, as Tony Blair found to his cost. Unless cast-iron evidence emerges that Coulson knew about illegal activity, the Prime Minister's stance should not change. Spin doctors should never become the story, yet Andy Coulson is surely too talented and important to Cameron to be cast aside now. Downing Street will focus on taking the political oxygen out of the story. They have already promised full co-operation with the police investigation and will undoubtedly desire a speedy response to kill this story once and for all. If the politically motivated attacks continue, he may be forced to take a break from public duty for a short time to clear his name, ensuring the Government's work can continue without distraction. While exasperating for those at the heart of the coalition, it could be the most sensible approach for all involved. However, do not expect Coulson to disappear for good - unless something extraordinary happens, he is likely to be at Cameron's side for the long term. Andy Coulson has committed three sins in the eyes of The Guardian. First, he worked for Rupert Murdoch, whose papers sell far better than theirs. Second, he works for a Conservative PM, in a coalition that they believe betrays all. Third, he survived the last time The Guardian wanted him out. Were this Government several years old, the public mood might force Cameron to axe Coulson. But, a few months into power, Cameron can hang on to those close to him. He did so last week with William Hague. Could Coulson survive months of bad publicity? Maybe not. But he could survive several more days of unconvincing bile. His enemies will tire of hounding him sooner than Cameron will stop wanting a gifted, intelligent aide with the magical quality of being trusted both by himself and by Murdoch - and who is very good at his job. David Singleton: How long can Coulson cling on?